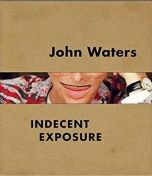 Crackpot, originally released in 1986, is John Waters' brilliantly entertaining litany of odd and fascinating people, places and things. From Baltimore to Los Angeles, from William Castle to Pia Zadora, from the National Enquirer to Ronald Reagan's colon, Waters explores the depths of our culture. And he dispenses useful advice along the way: how not to make a movie, how to become famous (read: infamous), and of course, how to most effectively shock and make our nation's public laugh at the same time. Loaded with bonus features, this new special edition is guaranteed to leave you totally mental.